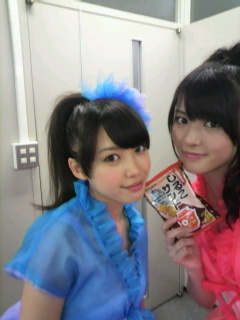 Posted on July 24, 2011, in Blog, Translations and tagged Yajima Maimi. Bookmark the permalink. 5 Comments. Yeah, it definitely looks like they were trying to emphasise the “cute” aspect of C-ute. yes, good setlist… would’ve been even more awesome with KMA and Midnight Temptation in there, but that could be too testing in the scorching outdoors weather! you should meet everyone in the entire universe Maimi! !everybody needs a sweet angel like you to visit them to brighten up their lives!! Yeah, don’t forget about us across the sea, Maimi-chan!